Why should you use Billbeez? Send us your bills/receipts via email and we'll do the rest! 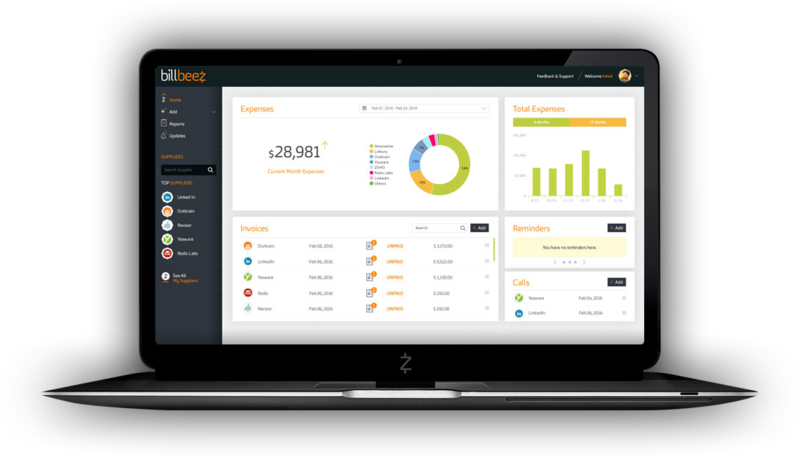 Get a real time overview of your expenses with bills/receipts organized online. No need to enter data or be a finance expert! Easily track payments and get alerts for missing & unpaid bills - you don't have to contact your bookkeeper! Get valuable tips and relevant info on the go. Receive alerts for unpaid supplier bills so you don't miss a payment or double pay a supplier ever again. All your clients' invoices online, giving a real-time overview of financials with alerts for missing and unpaid bills. Quickly locate invoices, making it easier for your client to pay bills. Less emails, less phone calls - everyone views the same data. Get a competitive edge by empowering your clients with more control and a deep understanding of their finances. Sign Up - 30 Day Free Trial! Billbeez suggested that I move to another phone service provider. The move saved me money and a lot of time. I get monthly updates from Billbeez, giving me a full picture of my business, so that I can easily understand what my costs are and what they're for. Billbeez organizes my expenses and invoices for me. I can access bills and receipts any time, without having to contact my accountant. Billbeez alerted me that my business lease, which was linked to the Index, was incorrectly calculated. Billbeez was correct, and saved us 1,500 USD. Billbeez was founded by accountants and tech professionals together with consultants from companies like Intuit and PayPal. Our number one goal is to automate and simplify the day-to-day financial operations of small businesses. industry standards regarding data security and fraud protection. Great job! You are part of the elite group who scroll all the way to the bottom. Now scroll back up and join us!